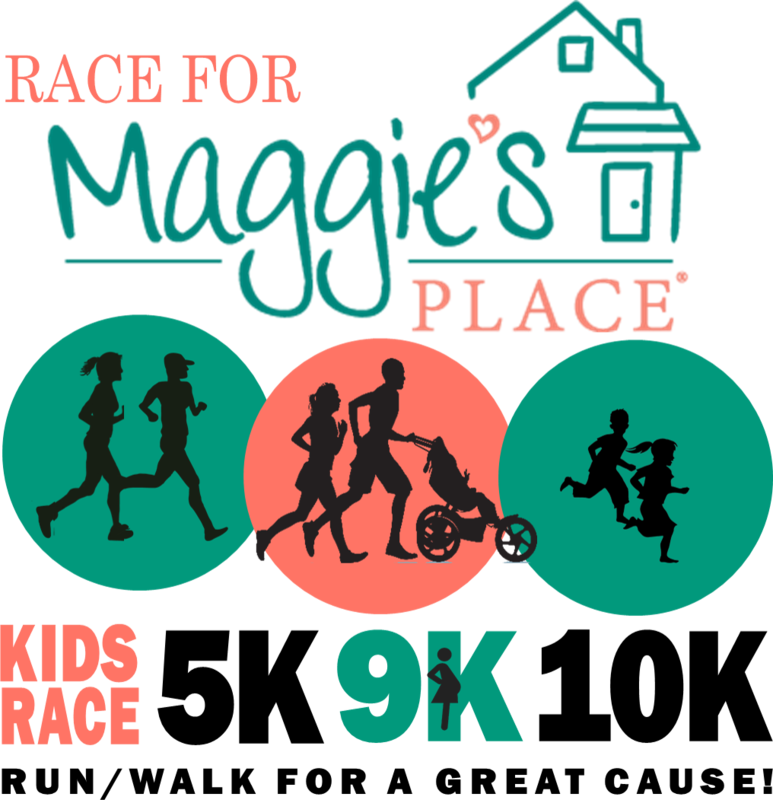 A Race for Maggie's Place is a series of events in a family friendly atmosphere. There is a distance for everyone: 10K Run, 9K Run, 5K Run, Stroller Push and Walk, and Kids' Dash. Not in Tempe? Run from your own location and we will mail you your shirt and packet after the race! Mandatory packet pick-up will be held at Road Runner Sports, Tempe (43 S McClintock Drive Tempe, AZ 85281). A friend of family member can pick up your packet for you. Remaining packets will be available on race day morning in the registration area for a suggested $5 donation to Maggie's Place. Registration will also be available at Road Runner Sports during packet pick-up and on race day ($55 for 15K/ $45 for 10K, 9K, & 5K, $10 for the Diaper Dash and Kids' Dash). If I am registered for the 5K Walk (or any other distance excluding Stroller Push, Kids' Dash and Diaper Dash), can I bring my child with me on the course? Children under the age of 12 do not need to register if they are being escorted by their parent or guardian. Children that are not registered/not participating in the race will not receive a race shirt or any other promotional items related to being a participant. In order to receive these items, the child must be a registered participant. Can I bring my pet on the course with me? Due to the safety of all participants, pets are not allowed on the course. Can I ride my bicycle or scooter instead of running or walking? Due to the safety of all participants, bicycles and scooters are not permitted on the course. You may only run or walk. I registered for the event, but now I can no longer attend. Can I get a refund? Registration fees are nonrefundable. A Race for Maggie's Place will be held rain or shine; however, Maggie's Place reserves the right to postpone or cancel the race due to extreme weather or any other circumstance beyond our control. In all cases no money will be refundable. Thank you for your understanding and your support of moms and babies in need! I registered for the event, but now I can no longer attend. Can I transfer my registration to someone else? Yes, you may transfer your registration to another participant. If the transfer request occurs after price increases or the new participant would like to register for a distance that is a higher price, the new participant will pay the price difference. Please email Tia at twesthoff@maggiesplace.org if you would like to request a transfer. Please have the name and email address of the person you would like to transfer your registration to. I registered for the 10K, but would like to change to the 9K or 5K. Is this possible? Yes, you can switch to the new distance. No part of registration cost will be refunded due to distance decrease. Please email Tia at twesthoff@maggiesplace.org for help switching distances. What is the Kids' Dash? There are two distances for the Kids' Dash. The first is about 1 mile long and is for children 13 years old and younger. The second is the Toddler Dash and will cover about 100 meters. This one is ideal for kids ages 2 years and under. Walkers and push toys are welcome to assist these little ones across the finish line. Parents and guardians can use their own discretion to decide which distance is right for their child. There is only one Kids’ Dash registration whether children are participating in the longer or shorter distance. Parents are welcome to run along side their children! Can I push a stroller in a distance other than the 5K Stroller Push? Yes; however there is only a special division for the top stroller winners if you are registered for the 5K Stroller Push.